So different from the classic flying geese block in which identical triangles are collected in repeat blocks that are symmetrical, uniform in size and placement. 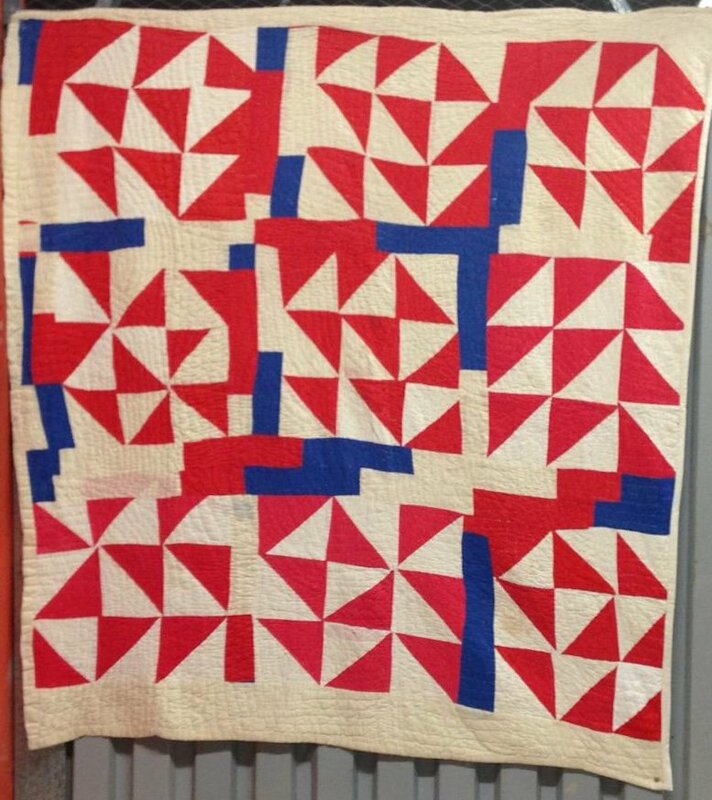 This example from Tennessee is so vibrant - triangles appear to dance around the quilt surface, there is barely a straight line. And there is the suggestion of a patriotic intent by the unknown maker in the choice of the red white and blue for the piecing. Love the sashing that unites the irregular blocks.